Ursine diagrams (from the Bear School) can be used to craft some of the most powerful weapons and armour in the entire Witcher 3 game. In this tutorial I'll show you the exact location of every upgrade diagram, helping you work your way to the ultimate gear for Geralt. Before you partake in the following explorations, I recommend you complete the Scavenger Hunt quest to earn the base gear - required before you can upgrade anything. You should also pay attention to the level requirements for gear and remember that unless you're close to or well into the 20's you won't be able to use many Ursine upgrades. Some of these upgrade diagrams are hidden behind well placed debri or at the back of a ruin. but others, especially the higher level upgrades, are hidden deep inside caves that are protected by all sorts of monsters. Expect to be confronted by higher level monsters, equip bombs and potions for protection and create regular save points to avoid losing gear. Note the bright yellow markers on each map below, pinpointing the diagrams location. Search the western side of the main Skellige Island to discover the Angry Troll Cave, shown on the map image above. Nearest Fast Travel points are Wild Shore to the north and Holmstein's Port further south. If neither of these are available you should travel south down the western shore rather than heading up from the south. This is because there's a massive mountain range blocking access to the western side of this island. The exact location of the diagram is as follows: head into the troll cave, follow the tunnel round and hug the right hand side wall. The diagram is roughly halfway into the large cave section. Expect to fight trolls along the way to reach this one. Located on Prison Island, one of the smaller islands in the Skellige area. To locate this island, travel north west from the main island. You'll see an isolated island with a single ruin (a prison). There are no Fast Travel points to this island so you'll need to sail a boat to get there. Once on shore, check the south west of the ruins for the diagram. There's NO need to explore the actual prison unless you're after additional loot. Check the north eastern side of the main Skellige Island. Here you'll discover a Castle Cave just inshore and west of the forest. This cave contains both Ghoul and Alghoul monsters so be careful. 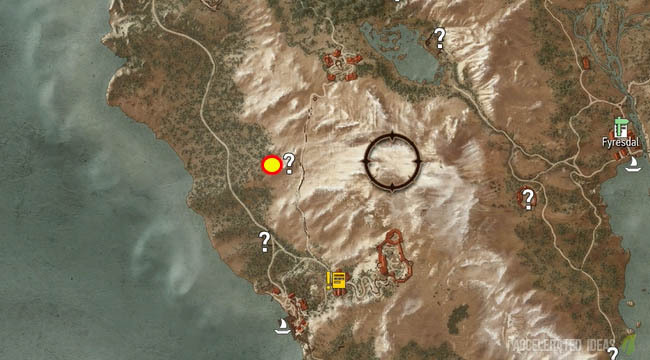 Nearest Fast Travel points are Giant's Toes to the north east or Whale Graveyard to the south east - both are not ideal because of the bandit camps nearby. Exact directions to the diagram are as follows: enter the Castle Cave, take the right hand route and follow it through to the larger cave area at the end. The upgrade is on the far side wall, just a little to the left. This upgrade diagram is only accessible by taking a boat trip down the eastern shore of the central Skellige Island. To the east of the large mountain lies the Grotto and a Bandit Cave with hidden treasures. Exact directions: enter the Bandit Cave, follow the left hand side wall and take the narrow tunnel. Then take a left turn into another larger area, the diagram is in the middle of this room. During the trip to Fort Etnir in a previous Scavenger Hunt you'll have travelled unwittingly through the location of the Enhanced Gauntlets. They lie to the north of the main Skellige Island, just south of the path to Fort Etnir. Check the surroundings near the bridge where you crossed the small river. Nearest Fast Travel locations include Rogne to the south west, or Yustianna's Grotto to the east. To the north of Velen lies Hanged Man's Tree, the entry point from the Nilfgaardian Connection quest. Travel from this location roughly north west until you discover the Granite Pit cave inside the nearby woodland. This is a monster guarded dungeon so prepare for confrontation. Head into the cave and stick close to the left hand wall as you venture deeper. Not far into the tunnel and the edge of cave turns left, explore this dead end and you'll find the armour diagram. Ruined Tower, on the eastern side of Velen, is the next port of call for this superior Steel Sword diagram. Easily reachable from The Orphans of Crookback Bog and Ancient Oak, the diagram is a very short walk north east from the Ruined Tower. 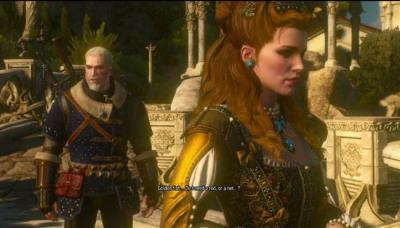 Avoid venturing too far west or you'll risk running into the high level Water Hag who's guarding the nearby treasure. Crookback Bog does seem to be the focal point for many diagrams doesn't it? This time we're off to the western side of the bog to find the superior Silver Sword, hidden above ground without any nearby dangers to worry about. Expect a serious fight to get this mastercrafted armour set. Towards the far southeast of Velen lies Bald Mountain, a treacherous area surrounded by both a Wyvern and a Cyclops. The actual diagram is to the south of the Destroyed Bastion shown on the map image above. To reach this remote area, follow the only path leading up to the Destroyed Bastion You'll have to pass through the Wyvern and there's a grindstone further up should you choose to fight the Cyclops as well. 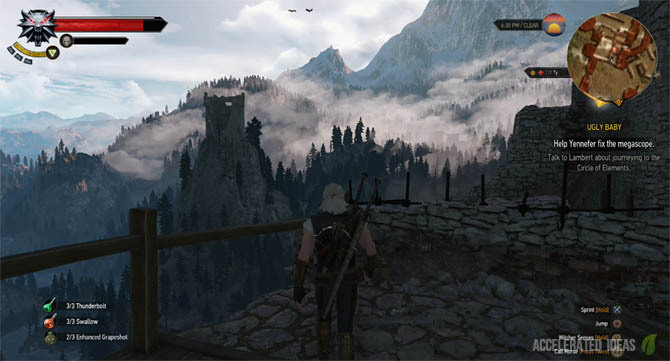 You should be familiar with the Crow's Perch location by now, which forms the starting point for many of the main quests in the Witcher 3. North west of this location is Blackbough, and a little further from there you'll find a Bear Cave - highlighted on the map image above. Hidden at the far end of the cave lies the mastercrafted Steel Sword together with other treasure - all of which is protected by a wild bear. To the far south of Velen lies the mastercrafted Silver Sword. It's conveniently hidden slap bang in the middle of a Drowner nest which is also surrounded by several rewarding chests if you've got the time to explore. If you've uncovered some of the Fast Travel locations in this area then the nearest location will be Olena's Grove, just a short walk north east to the diagrams location. Other Fast Travel points in this region include Drudge (across the water to the north west), Road to Bald Mountain (south east) and much further west is Frischlow.